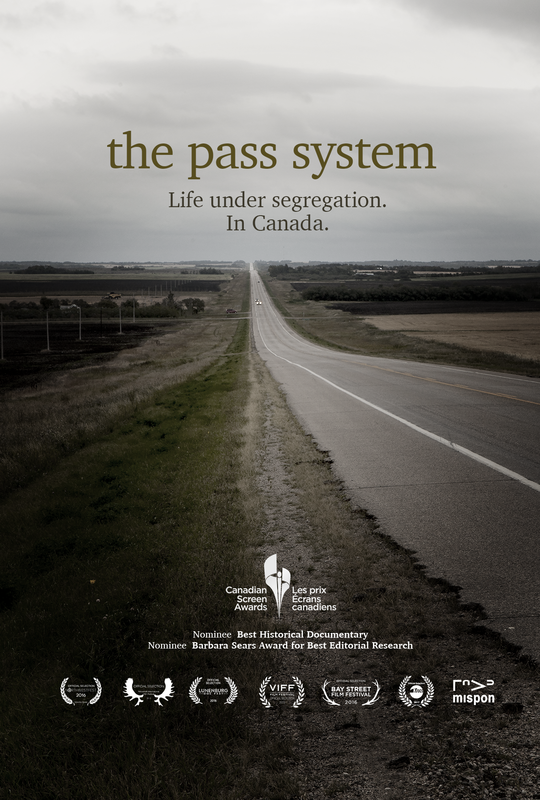 The Pass System – An investigative documentary about racial segregation in Canada, revealing an illegal Indian Affairs policy denying Indigenous peoples the freedom to leave reserves, requiring them to carry a pass when doing so. 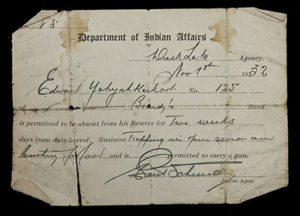 The Pass System is an independent production by Alex Williams made with assistance from the Canada Council for the Arts, the Ontario Arts Council and the Toronto Arts Council, with many community supporters, and produced in association with Tamarack Productions and distributed in Canada by VTape. Please contact V Tape to purchase a copy of the film for your organization, educational institution, or association, or for screening requests in your community. We’re almost ready yet for individual sales of the film, so please send us an email at info@thepasssystem.ca, to let us know you’re interested, and we’ll let you know when it’s available. Again, if you represent an educational institution or and organization, the film is available NOW. Contact Vtape at the above email or phone. You can also like the Facebook Page or follow us on twitter @thepasssystem, as we announce there.